The GBS Elektronik GmbH offers a variety of modern digital multi channel analyzer for high performance gamma spectroscopy. The application range our devices extend from supporting of securing agencies, safeguarding radioactive materials, radiation protection until laboratory applications and food watch. Our multi channel analyzer devices working with high reliability at low power consumption. The computer communication is provided by USB, RS232, RS485 or Ethernet. Our basic software is free of charge and enables various settings of the required parameters. The specific performance and features can be found in the respective datasheet. The MCA527 is the successor of the MCA166 and is equipped with highly developed hardware. The digital design allows higher throughput, a greater variability in parameter settings and a wider application range. The MCA527 can be controlled by RS232, Ethernet and USB. The MCA527L is a cost effective version of the MCA527 and perfect for gamma spectroscopy with low- or medium resolution detectors. It is also equipped with highly developed hardware and its full digital design allows a wide range of parameter settings. The MCA527L can be controlled by Ethernet or USB. 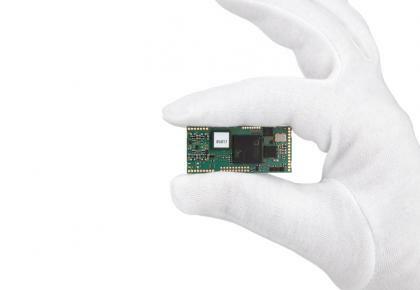 The MCA527 OEM is a cost-efficient and low power consuming multichannel analyzer PCB. It is intended for an easy integration in customer specific equipment and offers various interfaces. 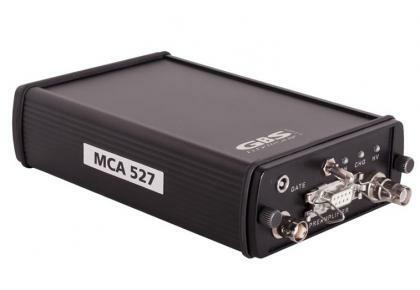 The MCA527 OEM+ version can operate with up to 16k channel resolution and offers some more operation modes. The MCA527 micro /micro+ is a cost-efficient, very low power consuming multichannel analyzer PCB in micro format. 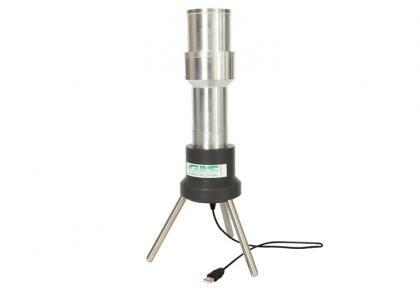 It is designed for the direct integration into a detector housing. Communication and power is provided via µUSB. The Micro+ version can operate with up to 16k channel resolution and offers some more operation modes. 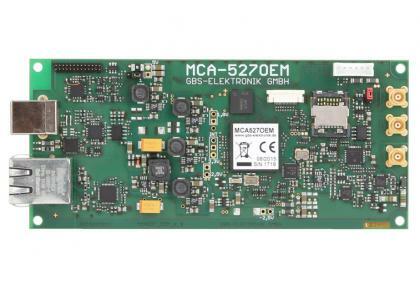 The MCA527 microE /microE+ is a cost-efficient, very low power consuming multichannel analyzer PCB in micro format. It is designed for the direct integration into detector housings. The PCB offers various communication interfaces like RMII (Ethernet) and TTL UART. The MicroE+ version can operate with up to 16k channel resolution and has some more operation modes. The Cube527 spectrometer series offers high resolution gamma spectroscopy, based on CdZnTe detectors, at very small dimensions. 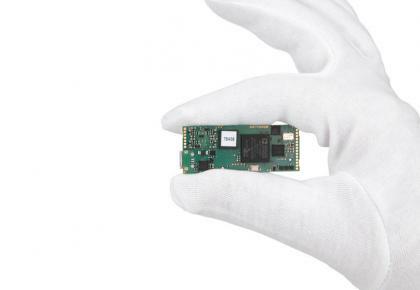 The smart design allows to swap the CZT detector module and enables thereby the adjustment of sensitivity, performance and customers budget requirements. 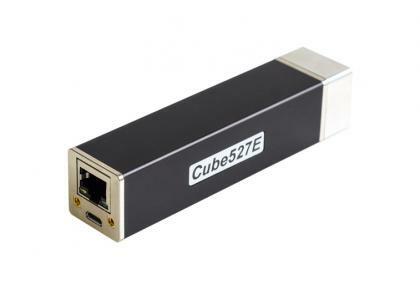 The Cube series are categorized in their individual computer interfaces: Cube527 (µUSB Version) Cube527E (Ethernet Version) Cube527R (RS485Version). Our Base527series offers fully equipped multi-channel analyzers with integrated bias supply and preamplifier for PMT- based detectors. The Base527 modules are categorized in their respective computer interfaces. 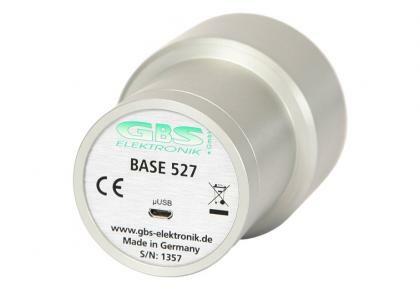 Base527 (µUSB Version) Base527E (Ethernet Version) Base527R (RS485 Version). The Nal527 Spectrometer series offers fast & easy gamma spectroscopy based on sensitive NaI detectors. We offer a variety of NaI (Tl) detector sizes for the optimal adjustment of sensitivity, performance and price. The Spectrometer series are categorized in their individual computer interfaces: Nal527 (µUSB Version) NaI527E (Ethernet Version) NaI527R (RS485 Version).